There was a wedding ceremony under the cloudless blue sky. 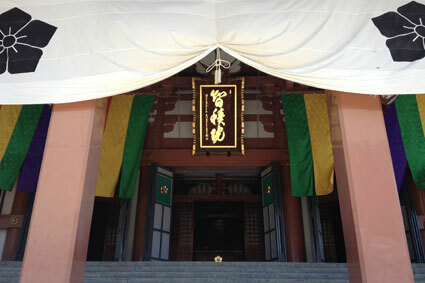 They became man and wife cerebrated by many guests at “Chishakuin” which is the head temple of the Chisan School of the Shingon sect of Buddhism. They carefully inspected the venue and prepared well for the day. They chose Chishakuin as it was fully air-conditioned and they also liked its beautiful appearance. 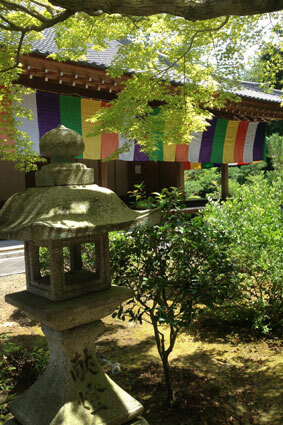 The colorful cloth which can be found at some temples are called “Bukki” and they are symbols of the Buddhism. 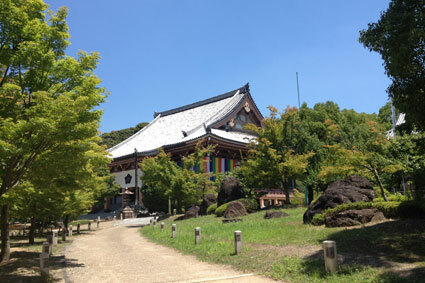 At Chishakuin which has more than 400 years history, the five authentic colors, “green, yellow, red, white and purple” were used for their Bukki. 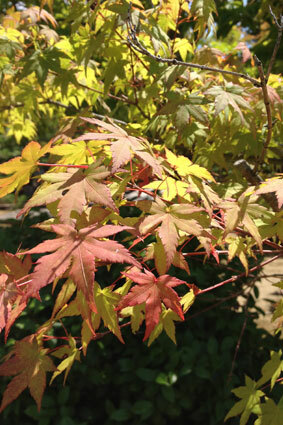 I found some leaves already started changing the colors a little. The couple looked great with the beautiful green of the garden and the clear blue sky in their background.